Palliative care education and training is more important now then ever before. The California State University Institute for Palliative Care’s professional development programs are designed to ensure health care professionals have the skills to provide great patient care. Incorporating the latest in evidence-based palliative care practices, these online courses are practical and highly interactive. 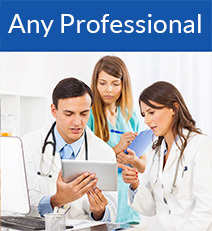 All programs provide Continuing Education Hours and some offer BRN, BBS, and CME hours. Check out our Course Catalog! If you are looking to enhance your individual palliative or hospice skills or prepare for certification, you’ll be able to select from asynchronous faculty-led courses or self-paced courses. If you are an organization setting up a palliative care education program or hiring new hospice or palliative care staff, these are the courses you need to grow or enhance your palliative care program. Experience the power of self-expression through art to aid in the journey of healing. Travel through your own art healing experience, then gain tools for facilitating art healing for others on their journey. Healing Through Art – Train the Trainer, for professionals or volunteers from any variety of settings, provides participants with an understanding of why visual arts are so powerful in healing, and how to facilitate others in exploring that which can strengthen and speed healing. The demands of a busy practice can be challenging for physicians, physician assistants, and nurse practitioners who want to better serve patients struggling with serious illness. 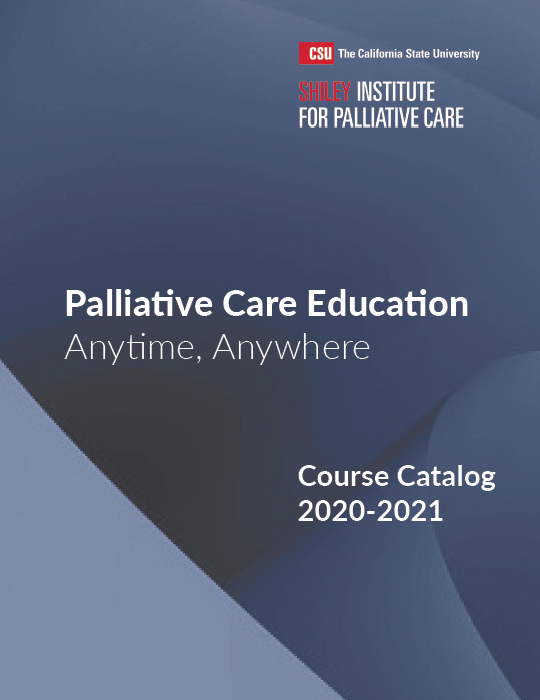 This comprehensive and convenient online curriculum builds new skills that will allow generalist clinicians to deliver efficient, effective palliative care. Topics include advance care planning, physical aspects of care, self-care and resilience, care at the end of life, and psychosocial, spiritual and cultural care. Available as a full series of nine online courses, or in thematic bundles. Pediatric palliative care differs significantly from palliative care for adults in myriad ways, especially as end of life approaches. This series equips hospice and palliative care practitioners with the knowledge and resources to ensure young patients and their families receive the best care possible. Includes three levels of skill building curriculum: basic courses, foundational courses, and advanced courses. Take any single course, three levels of that course, or the entire series. Perfect for Nurse Practitioners, APRNs, RNs, PAs, Social Workers, Chaplains, and other members of the hospice or palliative team. This self-paced online course provides pharmacists, physicians, physician assistants, APRNs, and clinicians working in palliative care and hospice with a framework for understanding polypharmacy; the importance of deprescribing drugs in palliative care patients; and the tools, strategies, and resources clinicians can use to safely stop medications in alignment with patient goals. To develop this unique program, the Institute collaborated with Familias en Acción, an agency that delivers cultural competence training for health professionals and health education for the Latino/Hispanic community. This self-paced online course helps health care professionals understand how cultural traditions are often a factor in daily interactions with Latino patients. Being mindful of beliefs, cultures, and traditions ultimately leads to improved relationships, compliance, and outcomes. This course brings an awareness of our differences while teaching practical skills helpful in hospice and palliative care settings. Communication is a vital skill in healthcare that affects everything from patient outcomes, to job satisfaction, to our risk of being sued—and it’s especially important when caring for patients with serious illness. This series of courses is designed to increase clarity, empathy, and understanding in your conversations with patients and other members of the healthcare team. When trained clinicians use motivational interviewing techniques in palliative care, patients often discover new ways to verbalize the actions they must take to achieve their goals. Motivational interviewing is a technique that clinicians can use to help patients identify and overcome reluctance to discuss their goals of care. Social workers, therapists, and counselors treating patients in all care settings will find the skills learned in this course helpful in increasing patient and family caregiver involvement in establishing their own palliative care goals. Aromatherapy, the use of essential oils to promote well-being and ease discomfort, has been used for centuries and has a growing base of research and support in modern health care. More and more health care providers, and their patients, are recognizing the value of aromatherapy, as well as other complementary therapies as an adjunct to allopathic medicine to treat serious medical conditions. Aromatherapy and the array of benefits it provides to patients, especially those in palliative care, is being recognized and is rapidly growing in use. This self-paced, highly engaging online course will help you launch your journey into the world of Aromatherapy for palliative care patients and their families. You need a business plan for palliative care just like any other business would have. Although this is not a course about creating a palliative care business plan, it IS a course about what it takes to build a successful business system around your palliative care program. This self-paced course is designed to orient clinical and administrative leaders to the concepts that support a successful palliative care strategy. It introduces the analyses needed to assess the impact of existing programs while identifying growth opportunities for hospital, clinic, and home-based palliative care services. Participants will learn how their palliative care program adds value to their organization’s mission. This online course was developed by nationally recognized experts in the field of palliative care, including: Kathleen Kerr, BA, Dr. Brian Cassel, Dr. Michael Rabow, and Dr. Shelley R. Adler. Based on her book, Last Acts of Kindness; Lessons for the Living From the Bedsides of the Dying, this course is delivered by author Judith Redwing Keyssar. This self-paced course provides a gentle self-reflection process to help palliative care or hospice professionals understand his or her own beliefs, values, and self-care patterns around this complicated journey. Taking this online course is a wonderful gift of self-care that you can give yourself! *Since this is a self-paced course, you can register at any time. You will receive your login within 3 business days. In palliative care, documentation is at the heart of our communications. This self-paced course provides quick, discipline-specific as well as team-focused strategies for ensuring that your documentation facilitates communication and supports great relationships within the team and with your referral sources. If you are staying late working on documentation or frustrated by the documentation habits of your colleagues, this course is for you! Whether you are launching a new program or fine-tuning an existing one, the Institute offers a variety of online and live courses to help you organize, plan, and implement sustainable palliative care programs. Learn how to identify the right partners for a community-based palliative care launch. Discover critical metrics and financial considerations before you launch. Develop your own roadmap to success with a solid foundation of knowledge from experts who have been there. The CSU Institute for Palliative Care developed this course in collaboration with the Coalition for Compassionate Care of California. Health plans are faced with the challenge of knowing how to balance rising costs with increasing demand for quality service. Case managers are tested daily on how to identify what matters most to their members facing critical health issues. The Palliative Care for Care Managers course teaches care managers to become more compassionate and effective in guiding their members through difficult times. Ultimately this course supports the health plan in creating the most value for its members. Stress and the risk of burnout are serious concerns for any palliative care provider that, if not addressed, can affect a clinician’s mental and physical health, job satisfaction and even patient outcomes. This self-paced, affordable online course provides effective tools and resources for easing stress, boosting resilience and improving clinician well-being. POLST stands for Physician Orders for Life-Sustaining Treatment. It is a physician order that gives patients more control over their care by specifying the types of medical treatment they want to receive during advanced serious illness. This online, self-paced course helps the health care professional understand the role and value of this document, and how to employ it in documenting and honoring patient wishes. This course provides specific details about POLST in California. This all-new 8-week instructor-led online course was developed in conjunction with the Association for Professional Chaplains (APC®). The growing demand for palliative care means a higher level of skills are needed to work within an interdisciplinary team in any health care setting. Are you prepared? This course enhances the ability of chaplains to support patients and loved ones facing the challenges of serious and chronic illness by building a strong foundation of knowledge and practice in palliative care chaplaincy. Limited class size. Are you an advanced practice RN, currently working or intending to work in hospice and palliative care? If you are looking for a way to expand your palliative skills, this 9-month online course makes it easier than ever. Fully online, this comprehensive certificate program is designed specifically for busy advanced practice nurses looking for expert skills without a classroom schedule. Participants will gain in-depth knowledge of a broad range of current topics in this growing field – all in working partnership with experienced palliative care nursing experts. This dynamic 8-week online course is aimed at enhancing RN competencies and knowledge of palliative care. The curriculum provides essential knowledge for professionals who deliver hospice or palliative nursing care regardless of the setting (hospice, inpatient/outpatient palliative care, oncology, long-term care, etc.) The course work is fully online and allows busy registered nurses flexibility in balancing work responsibilities while furthering their professional development. SEE VIDEO description. Do you want to deepen your hospice and palliative care nursing skills and pursue specialized certification? This two-day, in-person course is offered in collaboration with the San Diego Chapter of the Hospice and Palliative Nursing Association, and taught by experienced palliative care and nursing experts. Space is limited to 50 participants. Reserve your seat now! Does everyone in your organization understand the fundamentals of palliative care? Do they know how to properly refer a patient? The “What Every… Needs to Know About Palliative Care” series is available on demand for doctors, nurses, chaplains, social workers, and every health professional in your organization. These self-paced online courses enable organizations to ensure everyone understands the fundamentals of palliative care, including how it differs from hospice. Critical Palliative Care Skills teaches the essential skills that every social worker and counselor needs to know. If your career involves even occasional involvement with palliative care, then you’ll find this engaging and interactive course an ideal way to build your confidence and keep your knowledge and skills up to date. Compared by participants to getting advanced clinical supervision from national experts, this certificate program is designed to enhance the skills of MSWs with experience in palliative care. The Post-MSW Palliative Care Certificate Program is designed to provide master’s-prepared social workers with the knowledge and skills to be successful working and leading in palliative care and interprofessional environments whether that is in a hospital, hospice or other setting. SEE VIDEO description. Click HERE to learn more about Post-MSW Palliative Care Certificate!